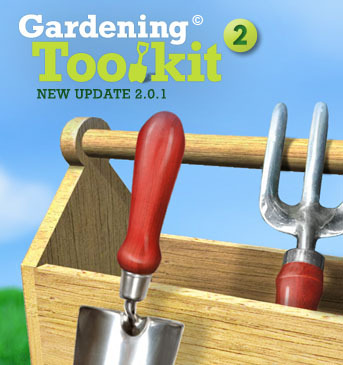 One of the most requested features of the Gardening Toolkit is a diary. 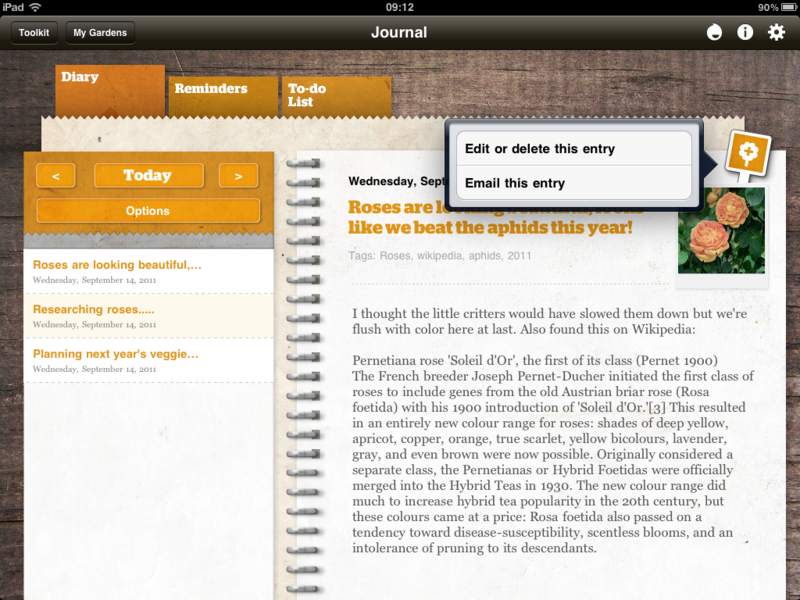 After more than a little fiddling around we’ve made a simple interface for making diary records. This isn’t intended to have all the features of a full diary application but will help you keep your notes in one place. Obviously this will benefit from the backing up and syncing of data that will come with iOS5, so if you’re concerned about safe keeping your data that will provide a solution in the future. 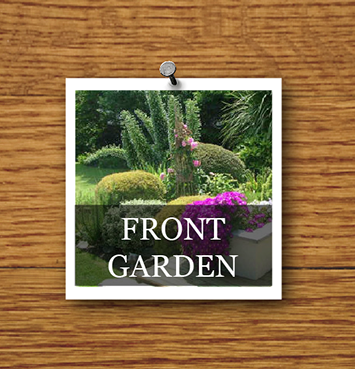 Also in the update is a reminder system for scheduling the watering, pruning, weeding and whatever else you’ve got to do in your garden. 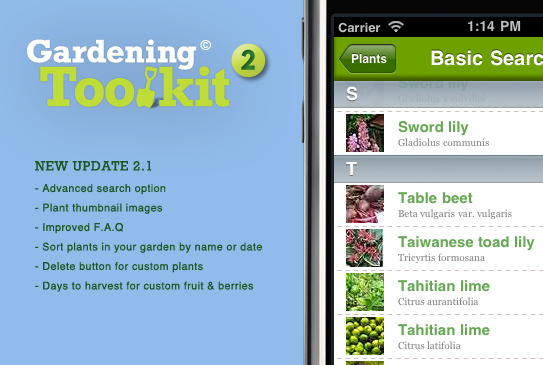 Again, this isn’t intended to replace a full featured app but should do the job of reminding you about regular tasks. It’s based on recurring events, more like alarms than appointments in the Apple calendar app. We think it’s a neat, simple solution and hope you agree. 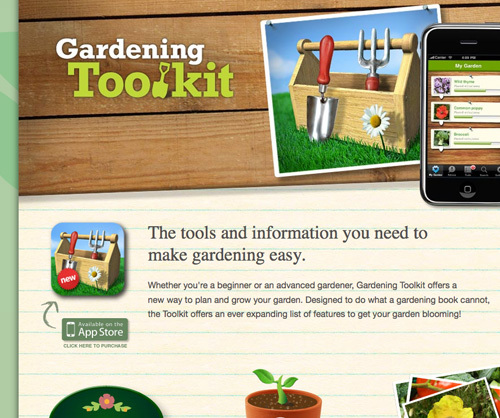 Obviously these tools won’t do everything for everybody but we hope they are a good starting point.